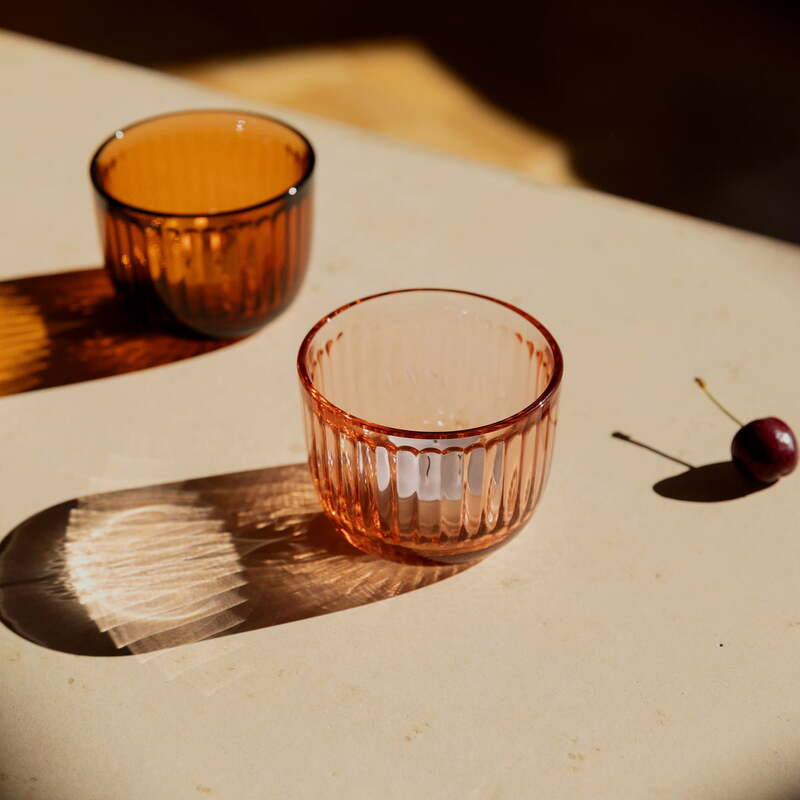 The Raami tea light holder from Iittala is part of a series of tableware and decorative elements for the living area designed by Jasper Morrison. 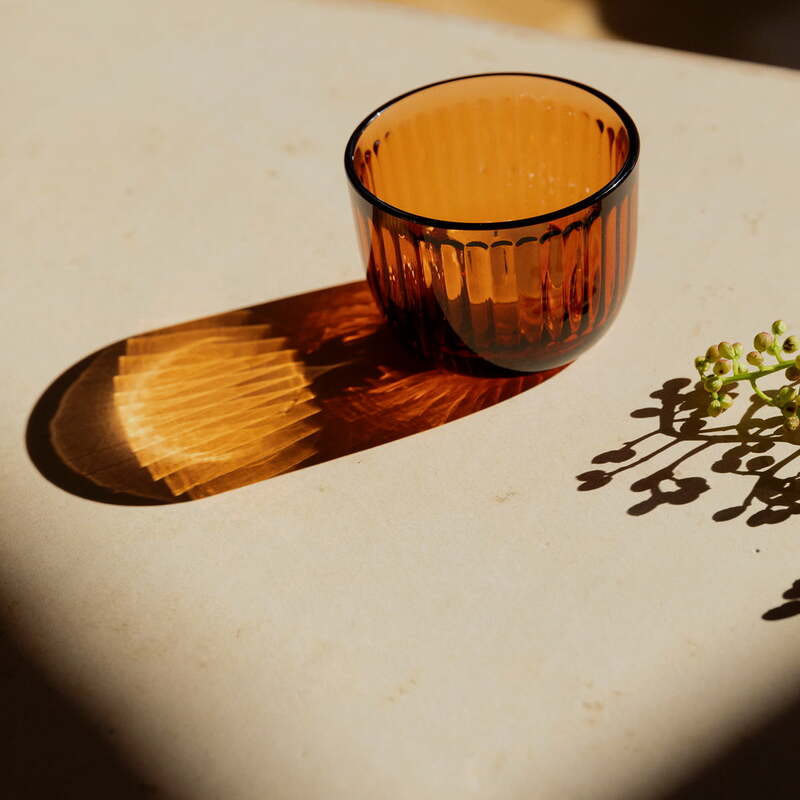 Made of glass and provided with a unique groove pattern, the tea light holder ensures beautiful reflections in the room. This creates a particularly homely and pleasant atmosphere. The tea light holder is made of glass in Finland. Its wide shape makes it easy to light the tea light and clean the holder. Available in different colours, the tealight holder looks good on sideboard, side table, dining table and windowsill. It is a beautiful decoration in every room, both alone and in a group. 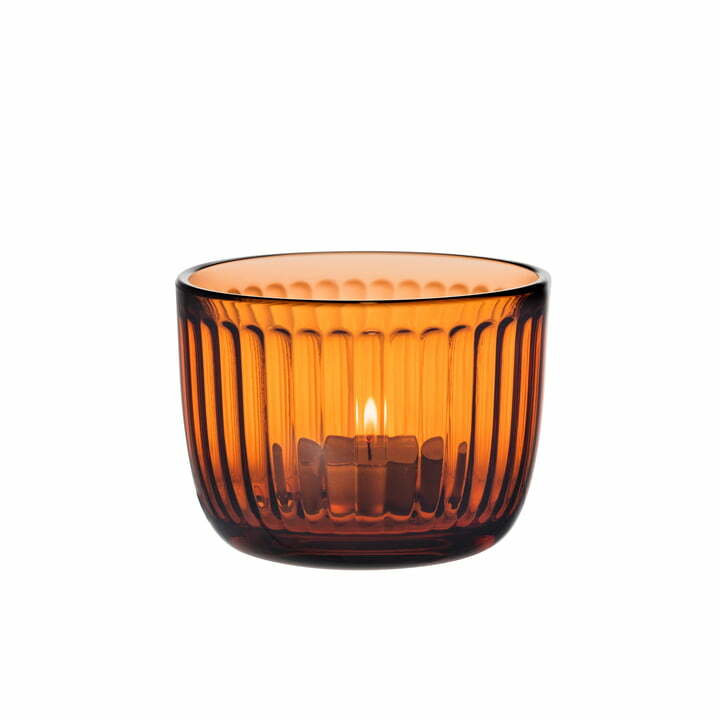 The Raami tea light holder with a diameter of 90 mm from Iittala in seville orange in single product view. The tea light holder is made of glass in Finland. Available in various colours, the tea light holder makes a good addition to sideboards, side tables, dining tables and windowsills. It is a beautiful decoration in every room, both alone and in a group.